Blends well with: Cedarwood, Frankincense, Myrrh, and Sandalwood. Historical: Used in the West for perfumery, as a sugared confection in Europe, and as one of the flavouring ingredients in Chartreuse, Benedictine and gin, Angelica has long been used in traditional East Asian medicine, dating back to 400 BCE as one of the first drugs recorded in China. Still used today in Chinese medicine, it is taken as a tonic to improve gynecological and general health in women. Angelica Essential Oil eases muscular aches, soothes arthritic joints and rheumatic pains. It also eases indigestion problems and flatulence, and improves poor appetite. 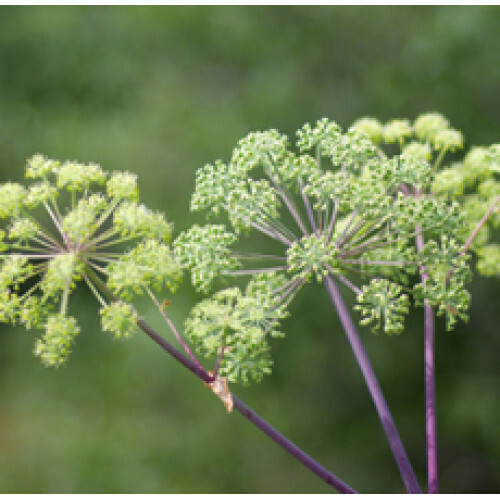 Angelica is highly valued as a fragrance component in soaps, lotions and perfumes, especially oriental fragrances. Emotionally, Angelica Root Essential Oil is recommended for fatigue and stress related illnesses.